Fans of Harry Potter should definitely have seen the 2010 Oprah Rowling interview that was filmed in Scotland. I hardly ever remember to turn on the television when there is a show coming on that I want to see. However, this was one time that I definitely remembered to watch. Within minutes, I was enthralled and gave up trying to get anything else done while the show was on. Some of the statistics in this film have changed but the overall story will always be the same. 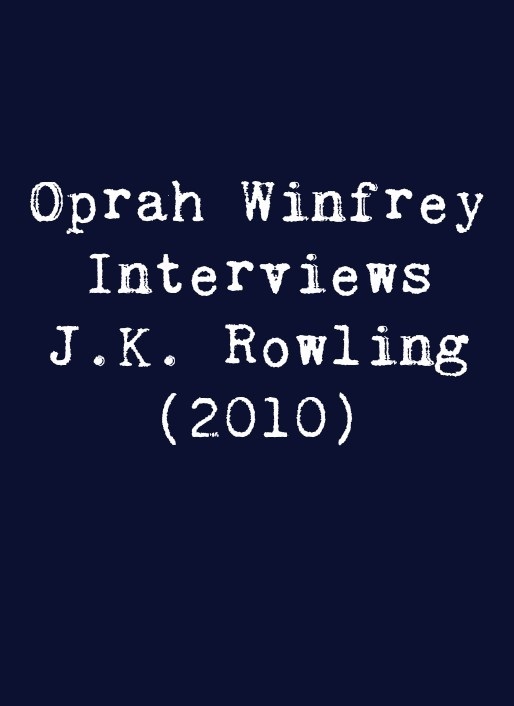 If you missed Oprah Winfrey's interview of J.K. Rowling, that is unfortunate. However, you are actually in luck because you can watch it on this video from Youtube. Presented here without commercials, it features a run time of 41 minutes. 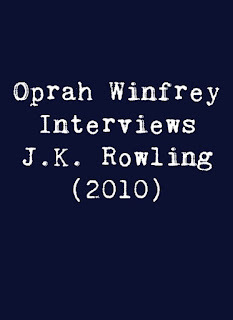 Did you watch Oprah's J.K. Rowling interview? What did you think? I think that J.K. Rowling was hugely important to a generation of families and that her closing statement was very, very true for many children. Watch the video and then let us know if Harry Potter and J.K. Rowling were important to your growing up years. What Is Pumpkin Juice? Where Can I Find A Recipe For Harry Potter's Pumpkin Juice? Author's Note: Originally written elsewhere in 2010.